National Event Pros is at your service, Portland. 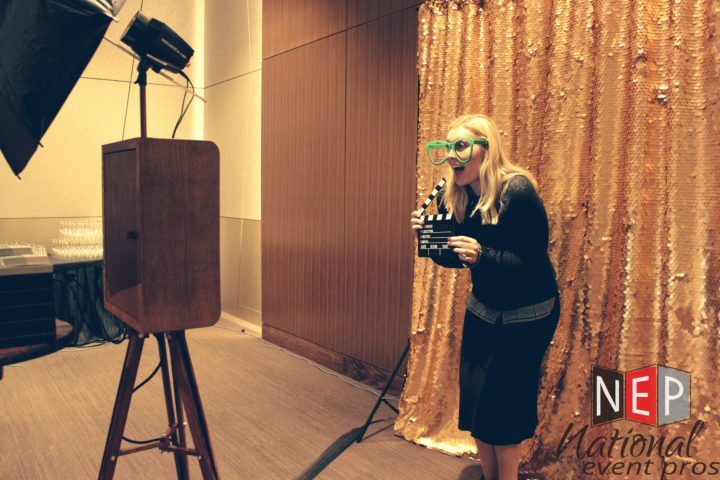 Our team of seasoned event planners know there’s more to a party, conference, or meeting than meets the eye. And that the smallest details can make the biggest difference. Your designated event planner or team of planners are your advocates on the field. Or the meeting room, ballroom, or wherever your occasion takes you. Among our repertoire of services is expert event rental recommendations and sourcing. 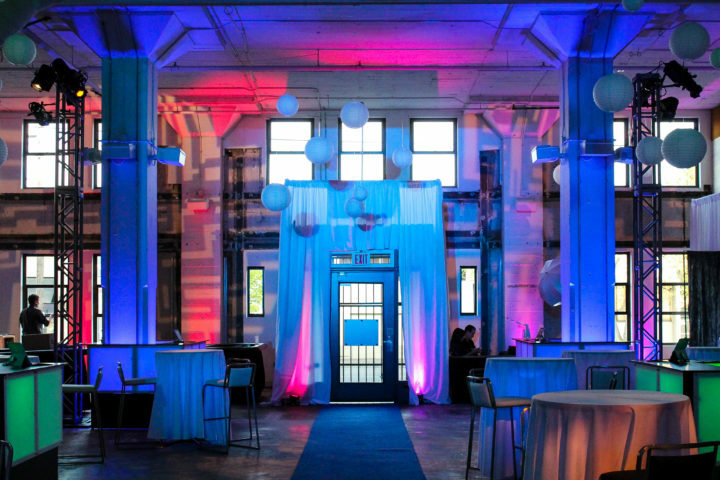 From the purely practical to the wonderfully whimsical, our three decades of Portland event planning experience have shown us that renting—instead of buying—can deliver a big bang for a client’s buck. 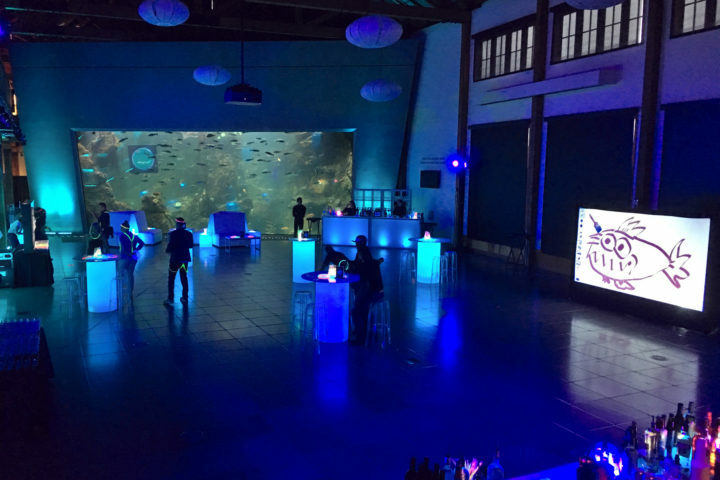 From inflatable entertainment rarely found outside of multi-million dollar theme parks to knockout design elements like LED lighting and Hollywood snow machines, we scout out event rentals for most any event vision. And event rentals are just the beginning. 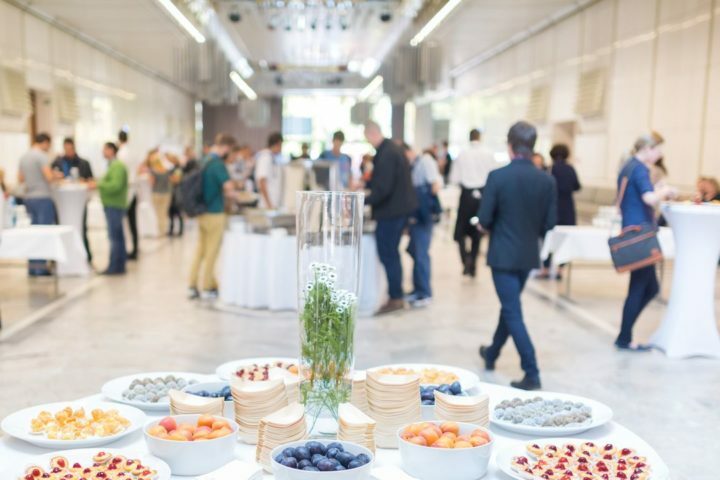 Venue selection, catering, entertainment booking, event security, and event parking are just a few of the items on your event planning checklist that can be checked off with a single call to an event planner at National Event Pros. 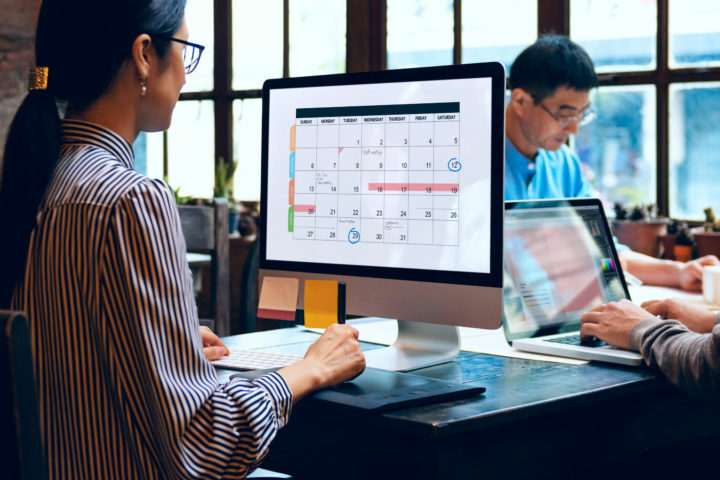 Our comprehensive event and meeting planning services take the burdens of event logistics off of your shoulders, freeing your team to focus on what they do best. Bring decades of knowledge, a unique rental inventory, and professionalism to your next Portland event. Together, we can celebrate with confidence. 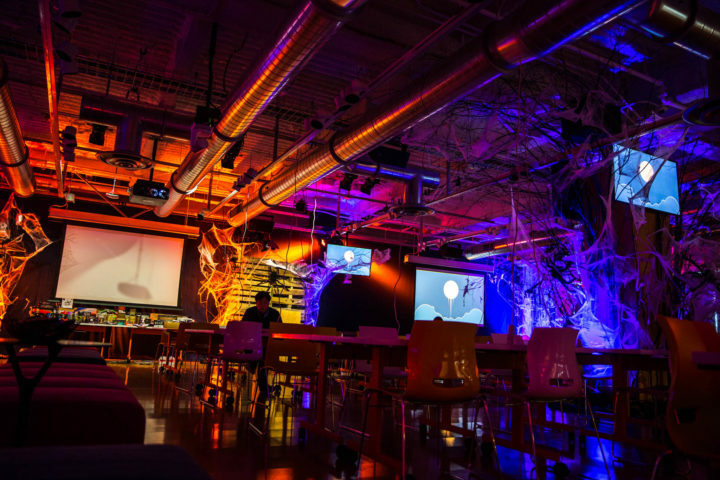 Hosting a corporate meeting or conference can be both an incredibly stressful and rewarding prospect. National Event Pros was founded on the principle that we could help remove the stress part of the equation while increasing the reward. Our three decades of Portland event planning experience have shown us that renting—instead of buying—can deliver a big bang for a client’s buck. Borrow from our 30 years of experience and networking to secure the entertainment your event. No one puts Portland in a box, especially when it comes to events. A cursory glance at the latest Portland Events calendar proves that our city is one of the country’s premier event destinations. We’re a town of meetings, music, meetups, and more. That’s why National Event Pros has been partnering with some of Portland’s best brands for decades to plan and facilitate world-class events of all kinds. Consider the carnival: a destination for fun, a break from the mundane, and one heck of a logistical undertaking. 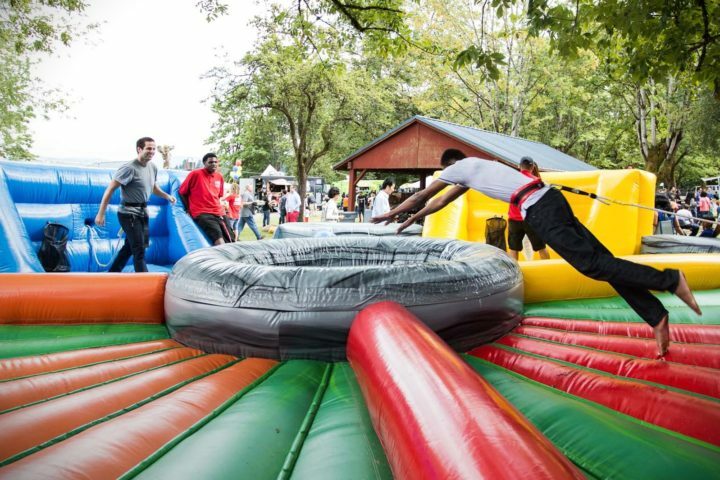 A knockout carnival requires curation of dozens of event rentals, from skyscraper-sized slides to dunk tanks, all require simultaneous setup and efficient teardown. 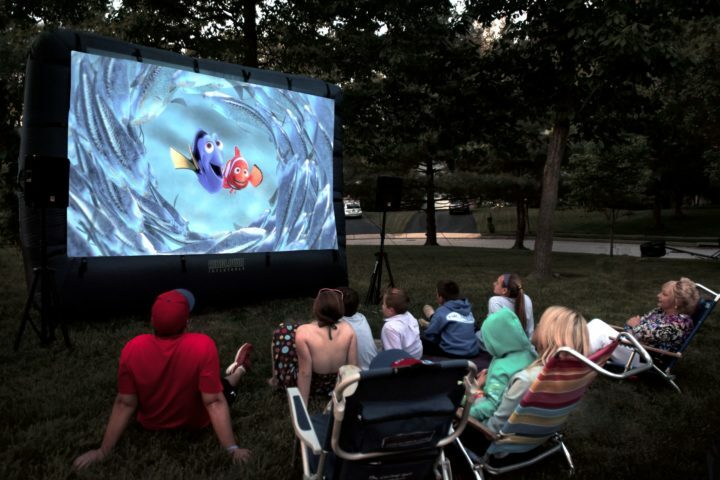 Or outdoor movies, which mandate wide swaths of lawn and perfect weather. And holiday parties, corporate events, and product launches? Each has their own list of requirements, roster of necessary event rentals, and roles for staffing. No two events are alike, but all can benefit from the seasoned perspective of a professional event producer who’s seen dozens like them before. 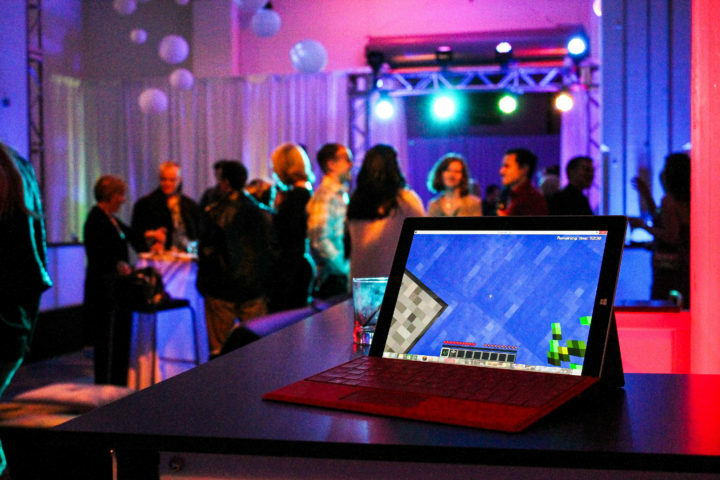 Whatever you’re planning, our event professionals will make it happen, and make it better. Think you can stump us? Give us a try. For some, the idea of setting up a carnival in a day is overwhelming. For us, it’s a daily occurrence. 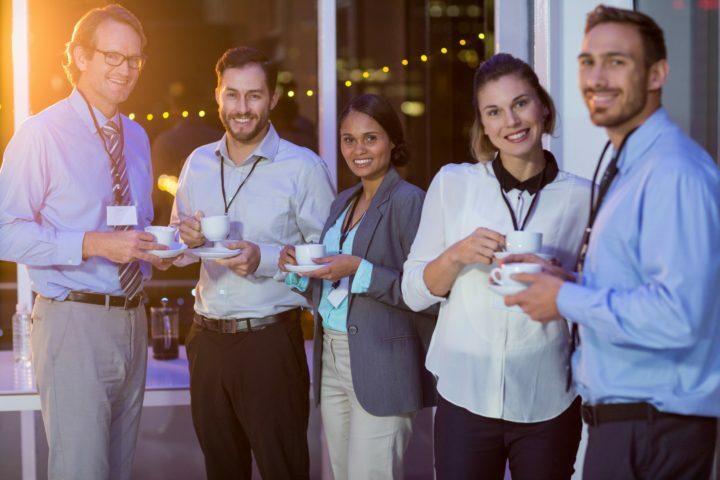 Our professional event planners understand the unique constraints of planning events for large companies. 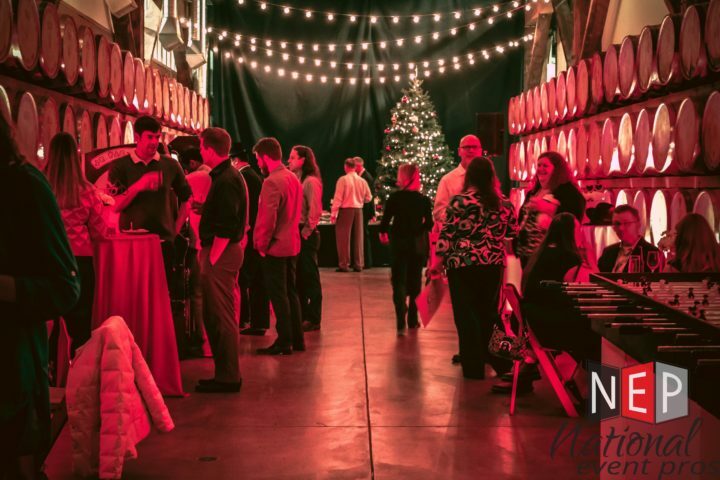 We've planned hundreds of holiday parties over the last 30 years, throwing knockout parties for some of Portland’s most revered companies. Let your team stay focused on what matters most: introducing your product to the world. We’ve helped countless brands put together outdoor film screenings, and we’d love to help you with yours. During our 30 years of service to some of Portland’s most innovative brands, we’ve supported the accomplishments of the area’s makers the best way we know how: full service launch event production. 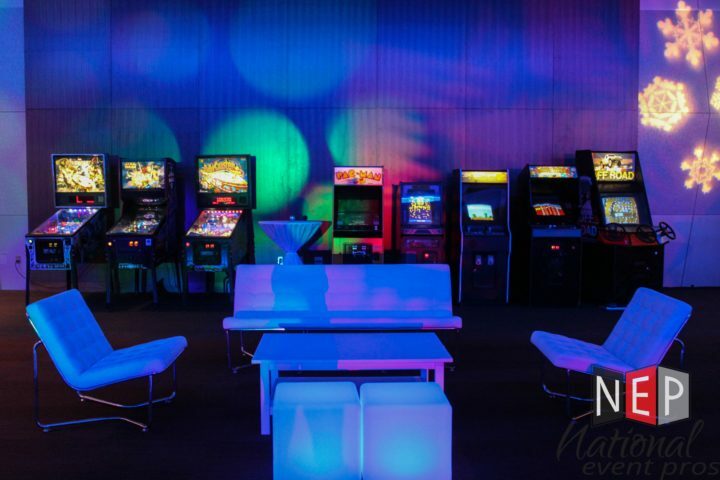 We're curated knockout collections of vintage arcade games and modern interactive technology for hundreds of events. Mastering your event goals has never been more achievable. And staying within budget? It’s never been easier. They key: quality event rentals. Our catalog of event rentals is a budget stretcher and a task completer. Renting instead of buying can have a multiplying effect on an event budget. And our Portland-area delivery, quality control, and setup services mean your checklist could be a lot shorter in short order. For many, the word rental produces connotations of carpet steamers, scissor lifts, and little else. But the world of event rentals couldn’t be more comprehensive or inspiring. Yes, inspiring. What else would you call a Hollywood-grade snow machine that turns any Portland venue into a frosty winter wonderland? Or a virtual reality system that allows guests to create art in three dimensions? Our event rental catalog covers the full spectrum of event factors, from expected staples to eye-popping showcase pieces. 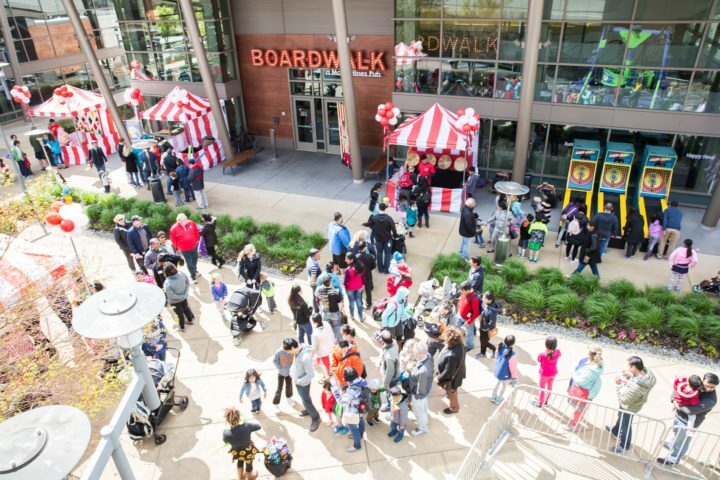 You may not be shocked to hear that we have a robust collection of photo booths and bounce houses, but did you know that we also rent 100-foot water slides, mechanical carnival rides, inflatable obstacle courses, dunk tanks, zip lines, and mechanical bulls? Yes, it may be time to define rental. 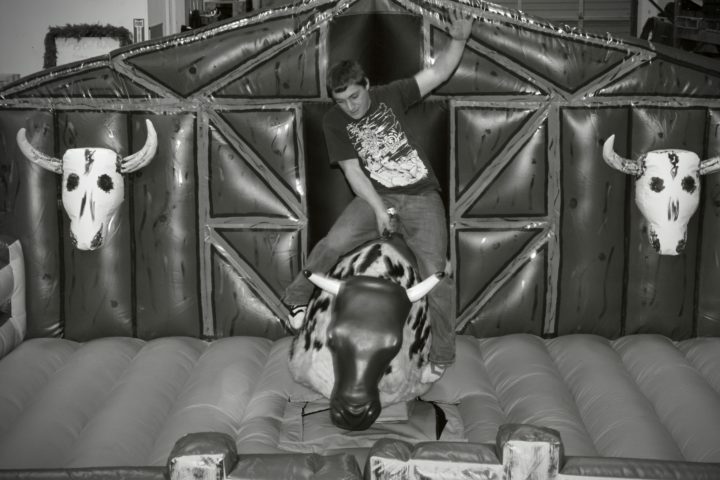 Nothing gets a party started like the heart-pounding, head-swinging, hand-wringing thrill of a bull in full defense mode. 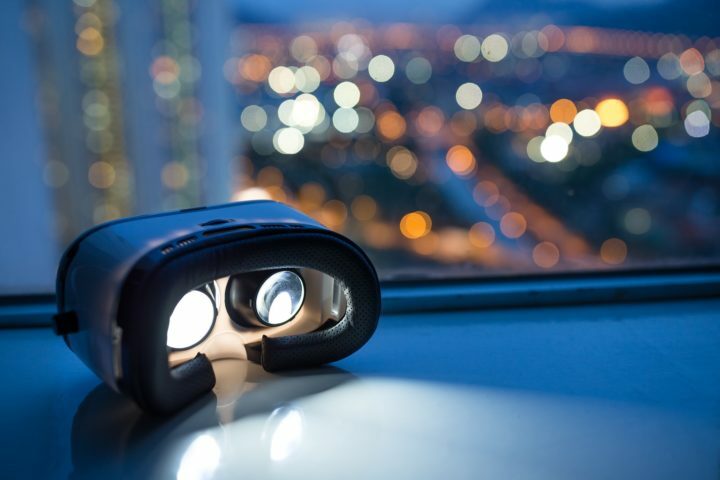 Portland knows how to be on the leading edge of food and beer—why should virtual reality be any different? One of the Pacific Northwest’s only mobile zip lines. 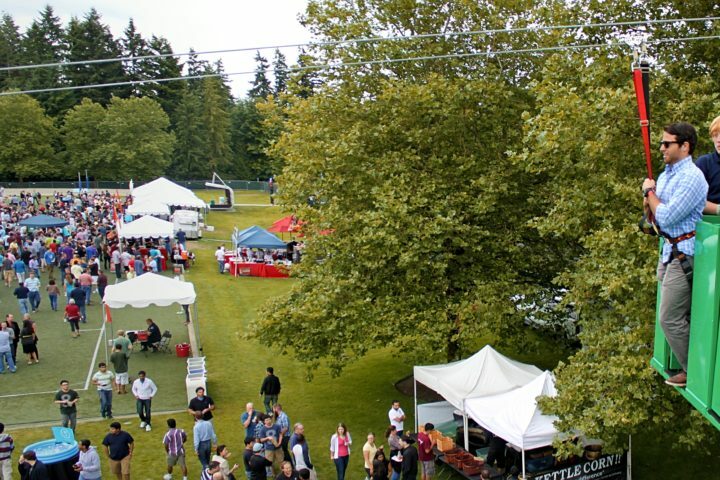 We’ve delivered our system to Fortune 500 corporations, product launches, and epic family reunions all across the Greater Portland Area. If you only equate inflatables with bounce houses, you’re in for quite the surprise. 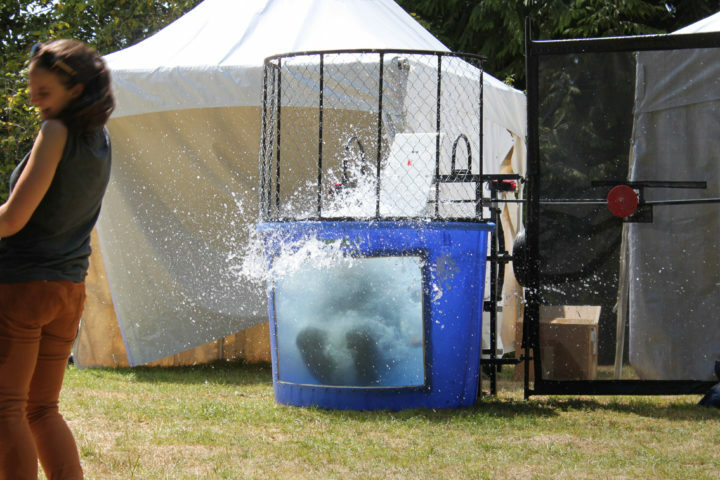 Today, dunk tanks have gotten safer, easier to operate, and some would even say, innovative. The only thing that hasn’t changed? The laughter that explodes with every successful splash. 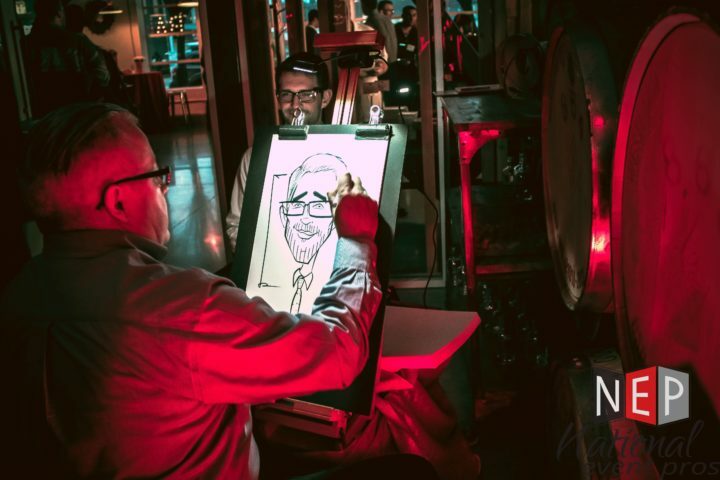 Whether at a party, meeting, or conference, two locales always seem to have a steady line: the open bar and the photo booth. 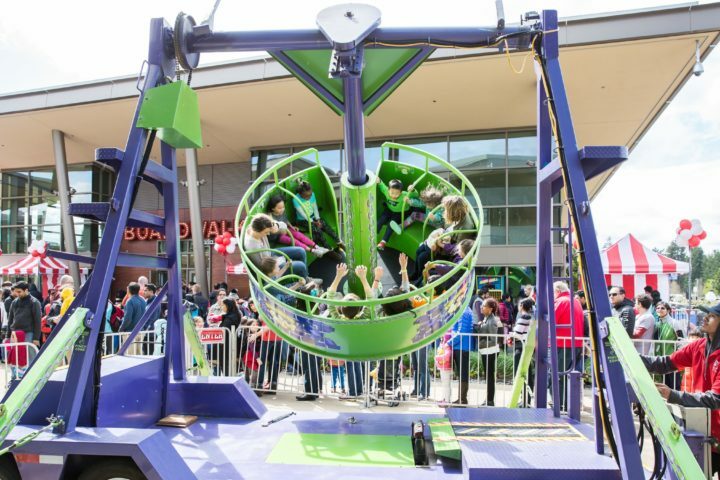 From corporate holiday parties to high school dances and even large family reunions, carnival rides have a way of bringing out the inner child in us all.